Don't you love finding unexpected connections in your reading? Two novels, two writers I greatly admire. While they could not be more different in tone, style, and the lives their characters lead, both explore grief and personal revelation in touching and insightful ways. 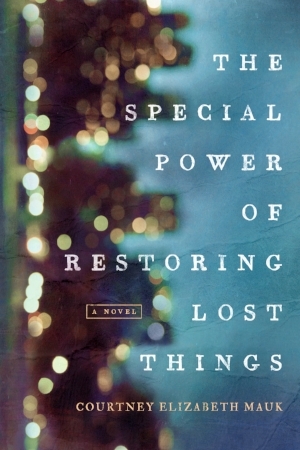 In Courtney Elizabeth Mauk's The Special Power of Restoring Lost Things (Little a, 2016), a vibrant, beautiful young woman goes missing, and her parents and brother struggle, alone and together, with her absence, their grief, and what it means for their identities and their family as a whole. As in previous novels, the author writes powerfully about the complicated relationships in families, especially between mothers and daughters. In The Special Power of Restoring Lost Things, the lost girl's brother seeks out her old friends and tries on his sister's lifestyle. Her mother, devastated and consumed, embarks on a dangerous mission of revenge. Her father, the designated-by-default handler of the practical and procedural transactions of their lives, must find a way to reel his son and wife back in. The novel is heart-wrenching - the heartbreak of loss and the family's unraveling ring so true - but also riveting as the mother follows her grief deeper and deeper into perilous delusion. 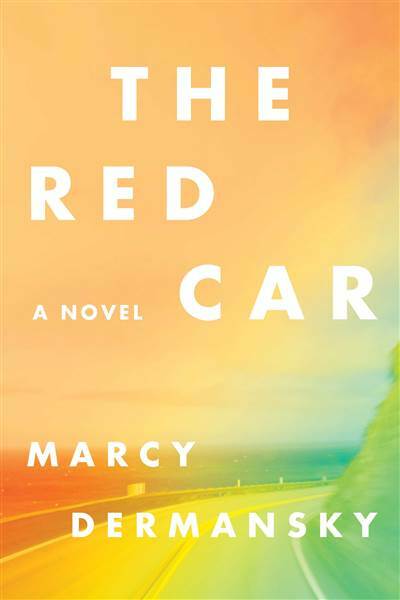 In Marcy Dermansky's funny but poignant The Red Car (Liveright, 2016), a thirty-ish-something, unhappily married writer learns that an estranged friend and mentor has died, leaving her a very expensive red sports car. Leah returns to San Francisco, mourning a friendship that had fallen by the wayside, only to discover that their connection is stronger than ever - and the car is quite possibly possessed. As she did so brilliantly in her earlier novel Bad Marie, the author once again gives us an irreverent and unconventional woman to love and laugh with. Our Leah is a hot mess, making questionable choices and getting into untenable situations, usually as a way of not dealing with her issues, all the while carrying on a conversation with her dead friend. I shook my head, laughed out loud and rooted for Leah, enjoying every moment. What surprising book connections have you found recently? I received my copy of The Special Power of Restoring Lost Things as a gift and The Red Car from my public library.